Jaffaman Eddie here and today I’m discussing what’s best? In all honesty I say both because I’ve used and tested both and both work. In your own case it depends on your results, if you have split tested these or not, what product or service you’re offering and what you are trying to achieve. entry offer for my $2 Gold Coin Strategy Marketing Pack. Last week (I’ll call him John) had a go at me about having the hide to charge him $2 p& h so he could get the $711 of marketing gifts in my Gold Coin strategy pack. John didn’t get his $2 Gold coin pack and in all honesty I’m really glad he didn’t for reasons you’ll discover later in this blog. You need to learn, test and know when to use the FREE opt-in model and when to use the barrier to entry model for your business, product or service. Now don’t get me wrong. I’m a big fan of the FREE opt-in model. It has served me well over the past 11 years and will continue to serve me well into the future. It’s proven to work. For the inexperienced the FREE lead generation model is where you give away a free information pack, free consultation, free newsletter subscription, free sample cosmetic whatever in return for the person giving you their contact details. 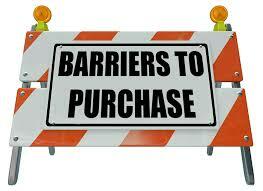 So what’s a low cost barrier to entry front-end offer? Let’s say you use a FREE lead capture model but your conversion rates aren’t that hot for whatever reason. Another strategy (and it’s been used by direct response marketers since the world was flat) is to qualify and attract better types of people using a barrier to entry offer which basically is a low-end front-end offer. In my own case the $2 p&h for the $711 of marketing gifts in my gold coin strategy pack is the ‘barrier to entry.’ Not only because of what’s involved in sending it out but whom it is for. I want a specific type of person in business and if they are not happy to pay $2p&h for me to send them their $711 of marketing gifts to them it’s best we go our own separate ways. Yes I could give it away for FREE but the world is full of FREE and a lot of people do not value FREE so they will always want FREE just like my old mate John. * is I am setting out to attract a specific kind of person in business who wants help, is happy to spend $2 and invest in themselves and their business and receive over $711 of marketing in return. That’s it! they value it far more. • Get a bottle of our fantastic Look Younger, Feel Confident face revitalizer cream for $5 not $35. Like I said both the FREE opt-in marketing models and low cost barrier to entry front-end offers are effective. At then end of the day my opinions don’t matter a hill of beans! All that counts is results you’re getting now. All I’m trying to do is give you some other strategies on how you may be able to improve them based on my own experiences. So have a think about how and if you should test a low front-end ‘barrier to entry’ offer and if you have any questions, you know where to find me. Don’t forget to share the love and this blog with whoever you think can benefit from it. • Complimentary Fast Track Flyer Writing Webinar set for May 26th. Book now. • Every person we write copy for this month receives a FREE ad in the winter edition of my MoneyMaker magazine – *Call now conditions apply. or selling your soul required. Get the details here. In addition to blogging and posting articles, social media is a great way to create such inbound links. It doesn’t have to be hundreds of words or too many videos, just keep it simple and be consistent. of social networking to insane levels of commercial success. and global search engines such as Google, Yahoo and MSN, etc. a business by adding comments to their own social media channels. And in this complete plan, there’s no way to skip social media marketing anyway. Businesses should ideally use negative comments or criticisms positively and thereby strengthen interaction, rather than disregard or ignore them. There are a variety of free and paid services that will allow you to create a blog. but at least the majority should focus on those areas. For example, we want peace in the household so we end up giving in to our wife over and over to please her. First, look at the demographics to target the right prospects. then the promotional material will be correlated to this goal. best option for marketing then there are many answer. purchase a product if it was really helpful by someone they know. social media marketing strategy in mind – a pitch to give to your prospective clients. use them effectively to heighten the company brand. to become so buried in online activities that you steal time away from your core business. we didn’t believe them. The major challenge of SEO is that there are billions of pages in the search engine indexes and your position in the SERPS is dependent on a constantly changing algorithm which is not published. 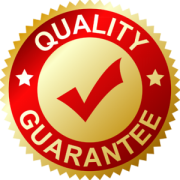 of search engine ranking and use it to your site that is if you happen to be up for that task. and put it into storage. pay someone to hire you.